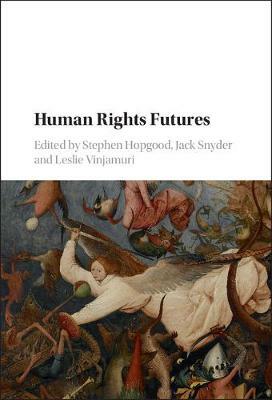 For the first time in one collected volume, mainstream and critical human rights scholars together examine the empirical and normative debates around the future of human rights. They ask what makes human rights effective, what strategies will enhance the chances of compliance, what blocks progress, and whether the hope for human rights is entirely misplaced in a rapidly transforming world. Human Rights Futures sees the world as at a crucial juncture. The project for globalizing rights will either continue to be embedded or will fall backward into a maelstrom of nationalist backlash, religious resurgence and faltering Western power. Each chapter talks directly to the others in an interactive dialogue, providing a theoretical and methodological framework for a clear research agenda for the next decade. Scholars, graduate students and practitioners of political science, history, sociology, law and development will find much to both challenge and provoke them in this innovative book.